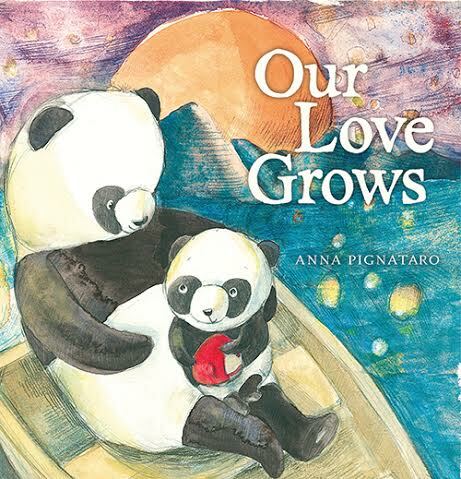 Our Love Grows is a touching and heartwarming book about a mother panda who takes the time to explain to her little panda bear Pip how he is growing. Our Love Grows is a touching and heartwarming book about a mother panda who takes the time to explain to her little panda bear Pip how he is growing by using the illustration of the forest and their surroundings. It is simply adorable and sweet, perfect for bedtime reading as it provides reassurance for little ones as they get tucked in. and Blankie covered all of you. Both my son and I liked the watercolor soft illustrations that perfectly reflected the loving tone of the mother panda. We enjoyed the rhyming words that flowed smoothly. And in my son's words, "The ending was beautiful." This is a lovely book that will help strengthen a loving bond between mother and son or daughter as when it is read a mother can comfort her child and tell him/her how much her own love will grow just as the child will. Both my son and I give this book a big thumbs up. Disclosure: Thanks to Sourcebooks Jabberwocky for sending us this book for review. We were not compensated in any other way, nor told how to rate or review this product. 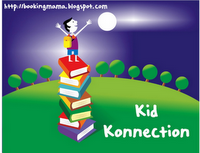 Anna Pignataro has created more than sixty books for children. She has won the Crichton Award for Book Illustration and many of her books have been shortlisted and have received Notable Book Commendations from The Children’s Book Council. 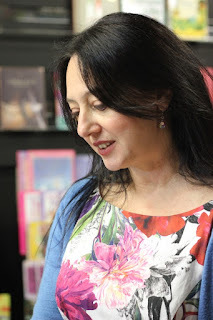 Anna’s books have featured on children’s television programmes such as Play School, Humphrey and Warrawy, are published internationally and translated into eleven different languages. She is also the author of a junior fiction series and has created a quirky and diverse range of greeting cards. She lives in Melbourne, Australia near the beach with her husband and daughter. Visit her online at www.annapignataro.com. This sounds so sweet and a book I would have loved reading to our kids at bedtime. Plus, I love Pandas!